October is shoulder season for many top tourism destinations, and savvy travellers are already planning their trips. In October, when memories of summertime start to fade and temperatures take a dip, travellers are looking for a good place to escape. 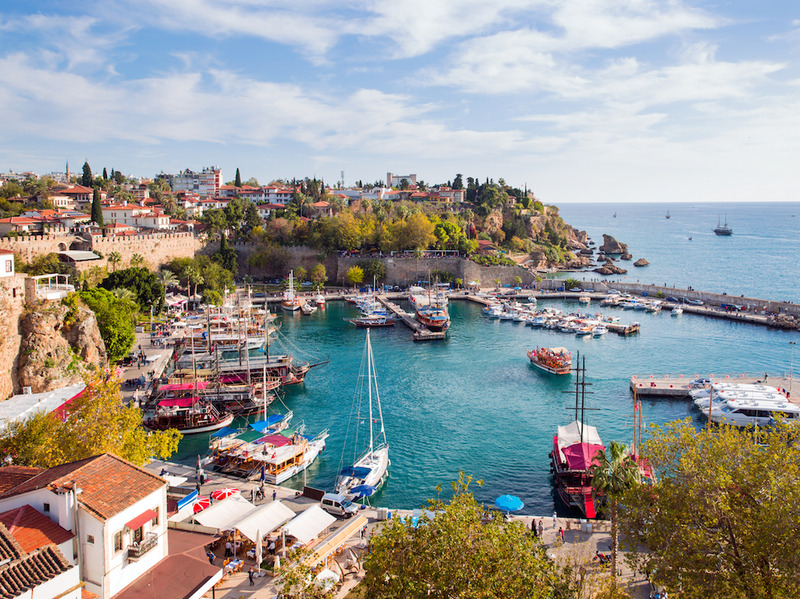 Smart travellers know that for many of the world’s dop destinations, October is shoulder season, the period of travel right before or after peak tourism season, when the crowds are thinner and the prices are lower. 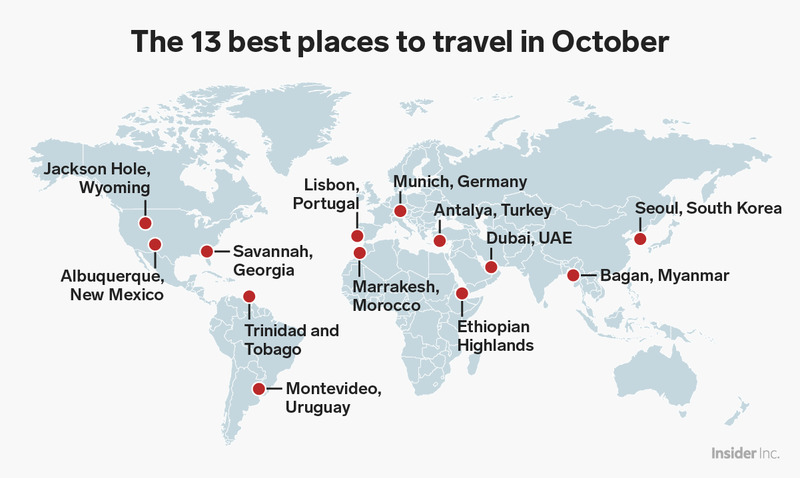 We looked at airfare trends, climate data, and cultural calendars to select 13 vacation spots that are some of the best places to visit in October. They include one of the most haunted places in America, a serene paradise in Myanmar, and a Moroccan cultural hub once named the best travel destination in the world. These destinations offer something for every traveller, whether you’re a history buff, a nature lover, a beach bum, or a beer-guzzling party animal. Read on for the 13 places you should visit in October, and plan away. There’s no better place to spend the month of Halloween than a city that’s supposedly one of the most haunted in America. 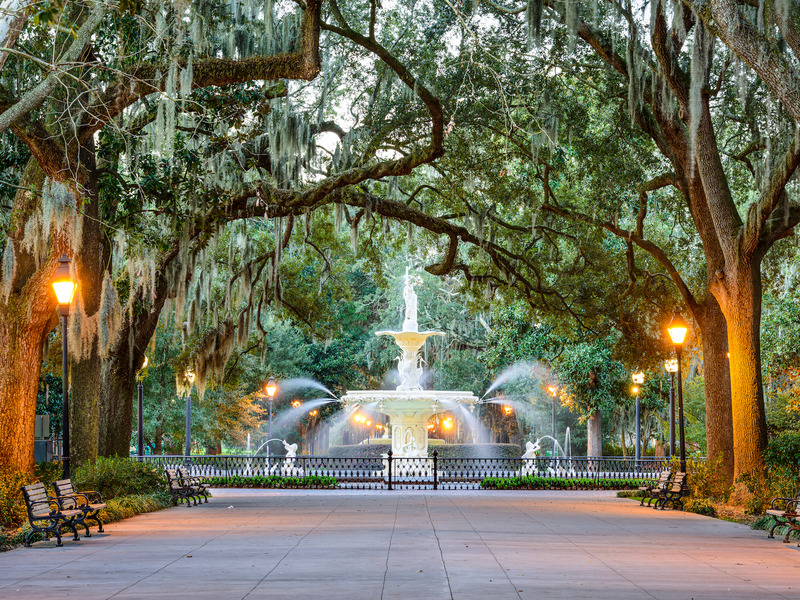 In Savannah, Georgia, you can explore the city’s mysterious history on late-night tours of hotels, houses, restaurants, and cemeteries said to have a paranormal energy. They’re the scenes of “dark tales of murder,” “acts of jealousy,” and “the tragic deaths of loved ones,” according to Ghost City Tours. 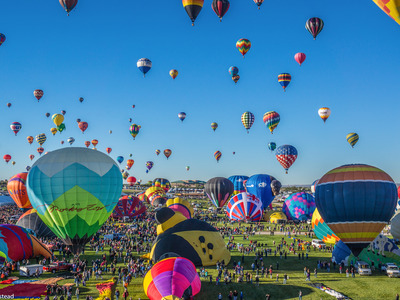 Every year, thousands of people flock to New Mexico, for the Albuquerque International Balloon Fiesta, a nine-day festival celebrating hot-air balloons. “For more than four decades, the first week in October brings the smells of roasting chiles and the beautiful, magical moving picture show of hot air balloons sailing silently through the crisp fall air,” the festival’s website says. Use the festival as the perfect excuse to visit Albuquerque and soak in its Southwestern charm. 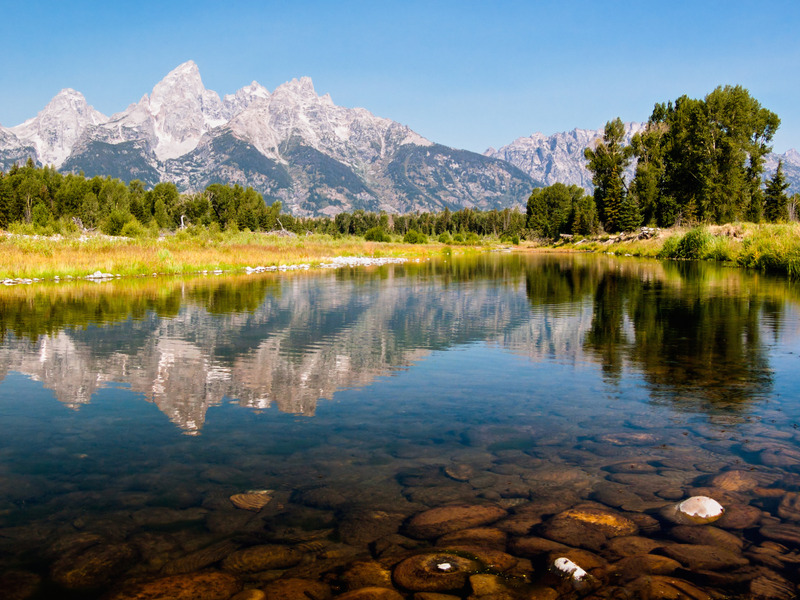 October falls right in the middle of off-season in Wyoming’s scenic Jackson Hole valley. That means you’ll have more room to explore the mountains, go elk-watching, and soak in natural hot springs in an area that is rapidly becoming a tourist hotspot. The town of Jackson is just 45 minutes away from Grand Teton National Park and two hours from Yellowstone National Park. If you don’t mind chilly weather (highs are in high 50s Fahrenheit), then October’s a great time to check them out. If you’re looking for a tropical destination to escape the cold October weather, look no further than Trinidad and Tobago. October is one of the hottest months of the year on the islands, and although it falls in the middle of the country’s rainy season, typically it doesn’t get worse than an afternoon shower. There may be a risk of heavier storms, but in our view it’s well worth the cheaper airfare and hotel deals you’ll find. 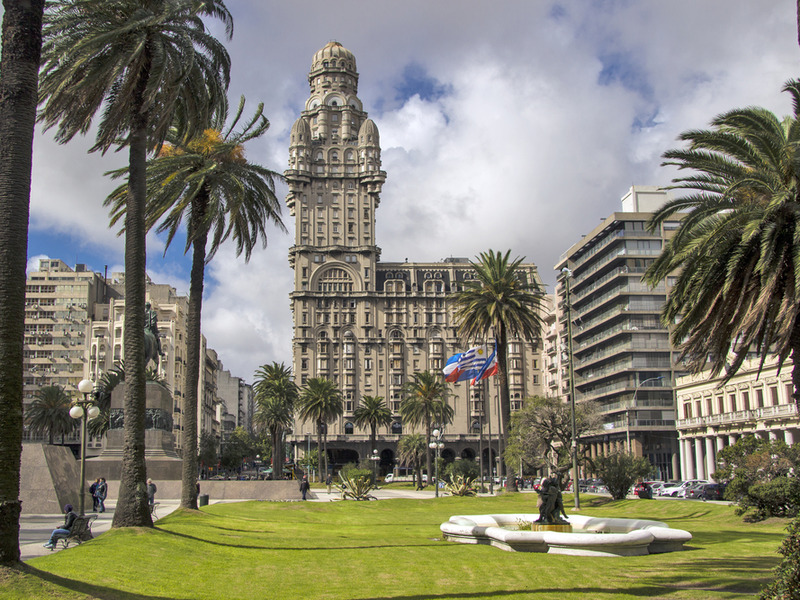 October is when the sun starts to come out in Montevideo, the laid-back capital of Uruguay – but you still have time before the big tourist rush in December and January. Use the nice weather to explore the city’s Old Town, get lost in an outdoor street market, and have lunch at the bustling Mercado del Puerto, a haven for meat-lovers. Don’t forget to stroll or ride a bike down La Rambla, the avenue along the city’s entire 13-mile coastline. It’s the perfect way to spend a sunny afternoon. As an added bonus, tourists save money in Uruguay – hotels are tax-free, and foreign visitors who use their credit cards on certain purchases get the 22% Value-Added Tax automatically deducted from their bill. Visiting Portugal in an off-peak month can pay dividends for travellers – just look at the difference in crowd size at one of the country’s most famous attractions. 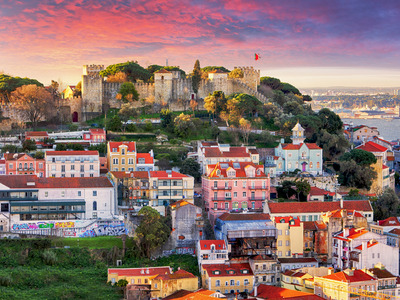 In Lisbon, you’ll find ancient palaces and castles, cobblestone streets, and picturesque hillside views. It’s also home to some of the best seafood in Europe. If you’re a beer lover, then your mecca for the month of October is Munich, Germany, home to the world’s largest Oktoberfest celebration. Over the course of 16 days, visitors from all over the world drink 7 million litres of beer and revel in amusement park rides, games, and attractions. The event attracts millions of thirsty travellers, and should be on your radar for a European excursion. The rapidly-growing city of Antalya, Turkey, provides the perfect mix of relaxing beaches and authentic Turkish culture. You can spend hours navigating the maze of cobblestone streets of the city’s Old Town. Don’t’ miss ancient relics like Hadrian’s Gate, the Roman Fortress, and the distinctive Yivli Minare minaret. 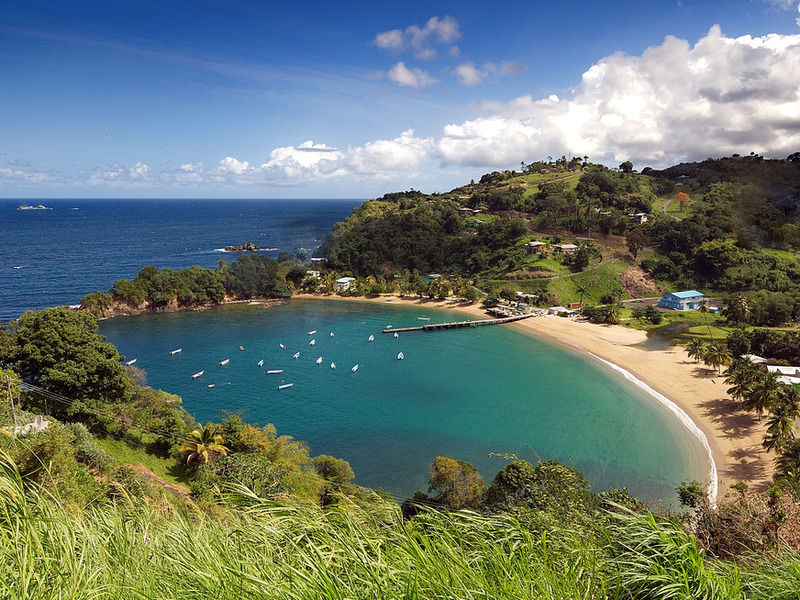 The weather in October approaches 80 degrees, great for beach-hopping. Excellent deals on accommodation and flights can be found toward the end of the month. 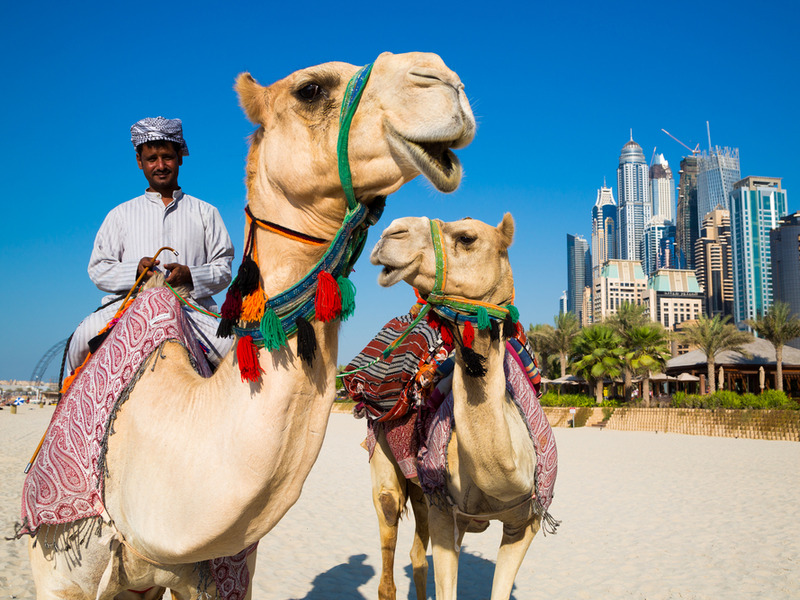 It’s going to be hot no matter what time of year you visit Dubai, the glimmering capital of the United Arab Emirates. If you can tolerate it, we recommend visiting in October, when the mercury drops below triple digits, but a couple of months before the city becomes packed with tourists during the “cool” season. If stunning architecture is your thing, it’s hard to beat the futuristic Dubai skyline, including the tallest building in the world, the Burj Khalifa. You can also indulge in some shopping at the world-famous Dubai Mall, cool off at at the Jumeirah beach, and get a taste of traditional culture at the Jumeirah Mosque and any of the city’s outdoor gold and spice markets. 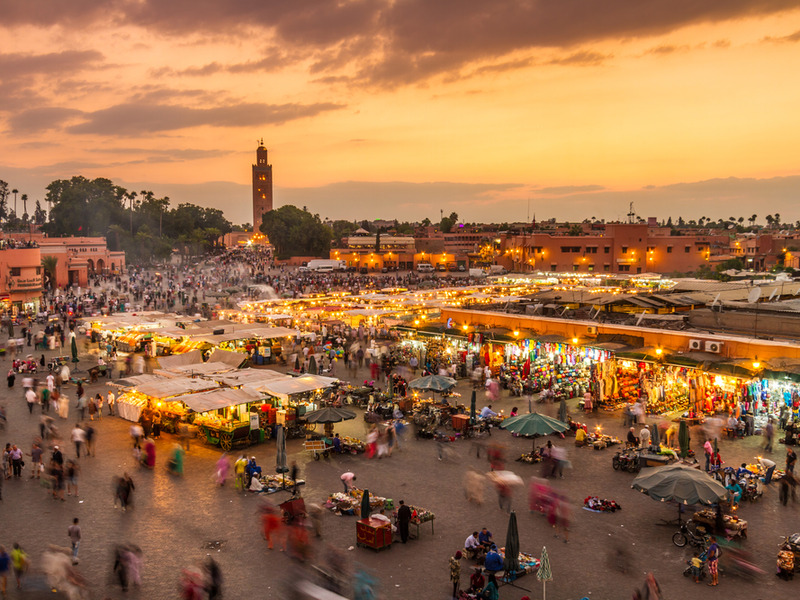 Marrakesh, Morocco, is a place teeming with culture and life. It’s home to beautiful mosques, palaces, and gardens, and visitors can get lost for hours in its sprawling bazaars, sampling the best of Moroccan cuisine along the way. 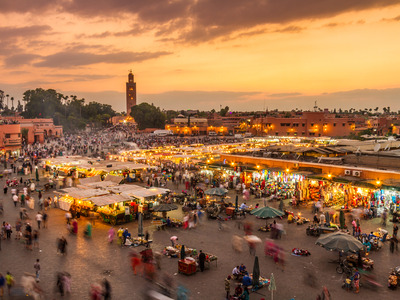 Between wonders like the Bahia Palace, the Ben Youssef Madrasa, and the Jemaa El-Fnaa market, it’s no surprise that TripAdvisor users once ranked Marrakesh the number one travel destination in the world. 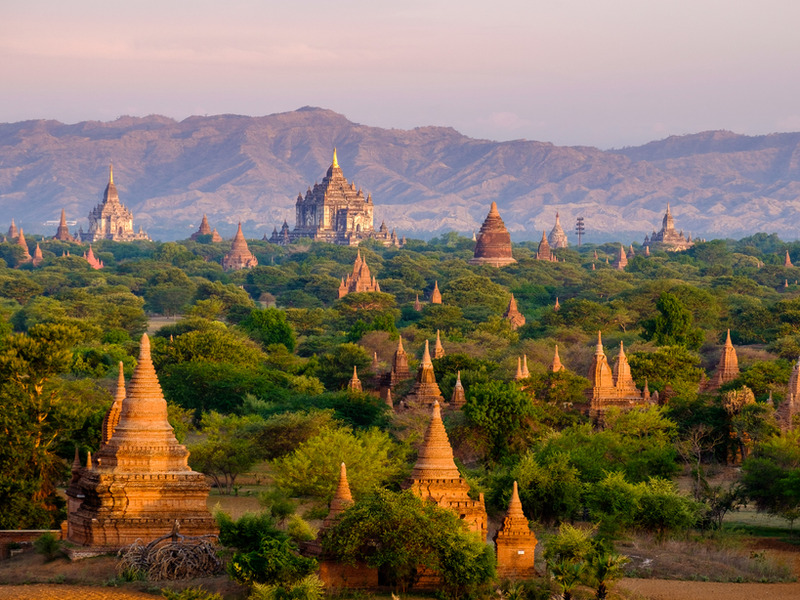 The ancient city of Bagan in Myanmar has to be seen to be believed. Once the capital of an ancient kingdom, Bagan is home to more than 2,000 Buddhist temples that visitors could spend days exploring. October is the month right before peak season begins in Bagan. Take advantage of the warm weather (typically in the 80s Fahrenheit) by renting a bicycle and travelling down the town’s winding roads, exploring the ornate shrines at your own pace. For optimal scheduling, make sure you catch both sunrise and sunset from atop the biggest temples – they provide a once-in-a-lifetime view of one of the most picturesque places on Earth. 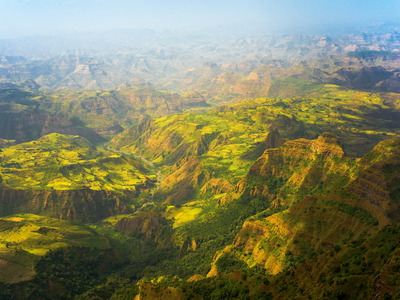 The highlands of central and northern Ethiopia are full of natural beauty and jaw-dropping landscapes. Nature lovers will want to head to Simien Mountains National Park, whose slopes are home to unique species of baboons, ibexes, and other animals. Lonely Planet called the Ethiopian wolf “the sighting of a lifetime.” The scenery should be especially verdant in October, coming off the heels of rainy season. For travellers interested in history and culture, head to the towns of Lalibela and Gondar, two ancient Christian hotbeds with rich traditions. 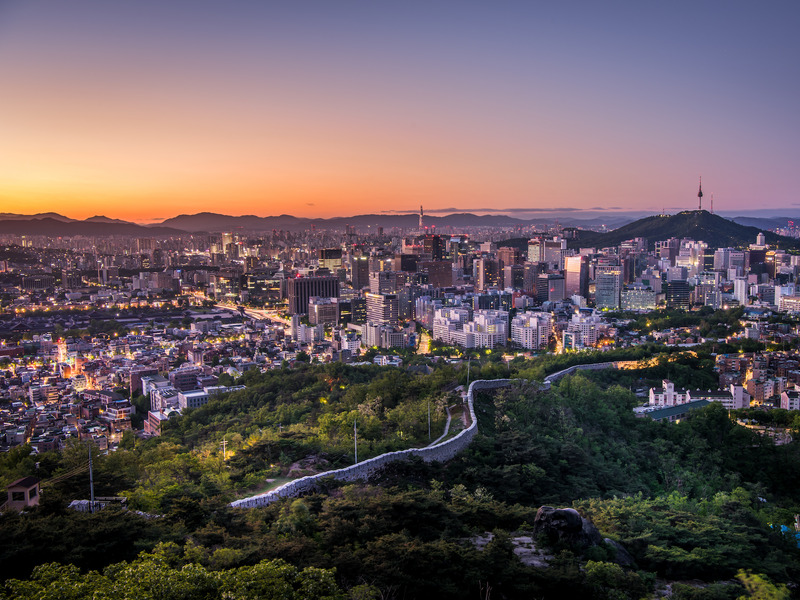 In South Korea’s bustling capital of Seoul, October offers manageable weather (typically in the high 50s to 70s) at an affordable price. The city of 10 million has every type of experience under the sun: beautiful nature, remarkable architecture, a rich history, world-class shopping, and a vibrant food and nightlife scene. It’s perfect for an October getaway – the only downside is that you can’t stay longer.